The most beautiful quality heavy crepe fabric you wont believe it until you feel it! Triple crepe is a heavy weight polyester crepe fabric with a textured appearance and a slight give which makes this fabric drape and sew beautifully. Its is perfect for dresses and skirts, and heavy enough even for trousers and jackets to take you through the winter months. Amazing Fabric, worth every penny. Made a dress cut on the bias and it is stunning. Hangs like a dream. 5 Stars! I bought this fabric after having seen a dress made from it on the blogger network. When it arrived in the post it is even more beautiful then I expected. Will definitely more colours of it in the future. 5 Stars!!! 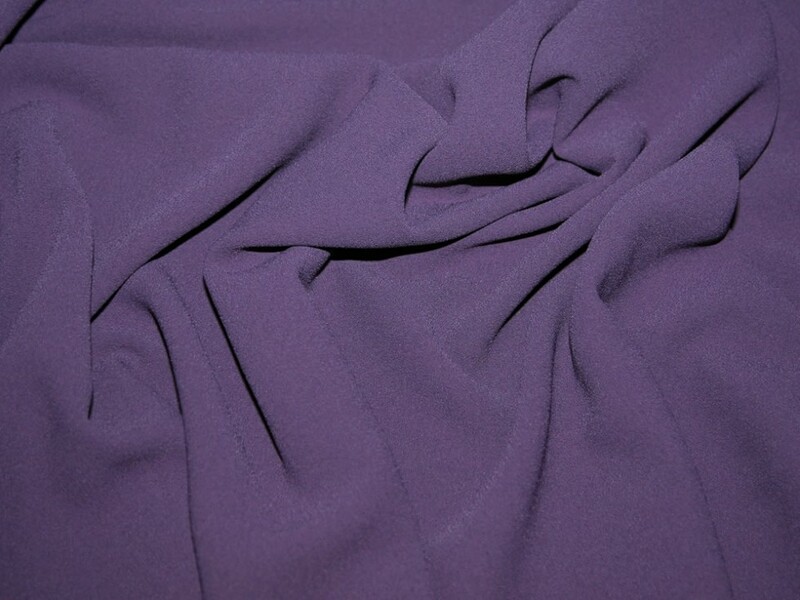 This fabric is more expensive than what I would usually pay, but I took the plunge and ordered some of the purple and I can honestly say it is the most beautiful fabric I have ever sewn with. Absolutely love it. Well worth every penny!